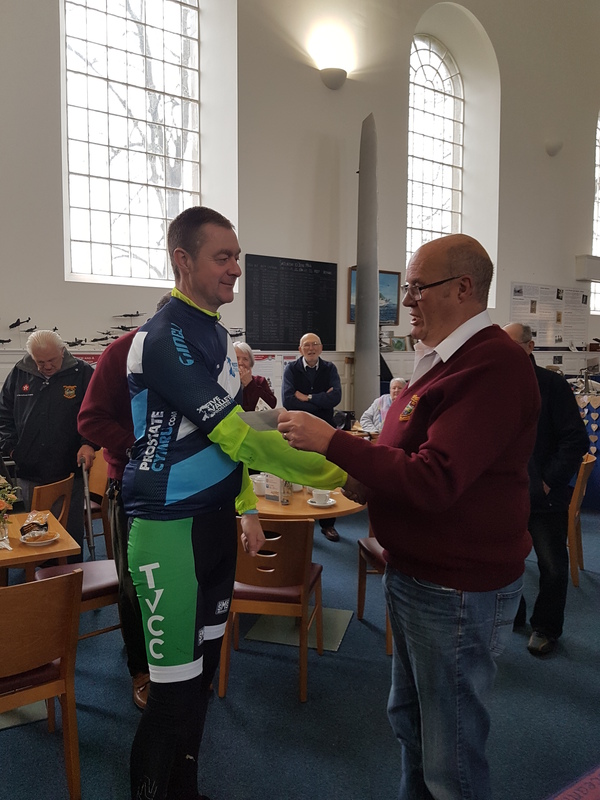 The fundraising efforts of choristers from Whitland Male Choir on behalf of Prostate Cymru received a boost on Easter Sunday when members of Côr Meibion Mynydd Mawr presented them with a donation from the proceeds of the choir’s successful 6 Nations Predictions competition. 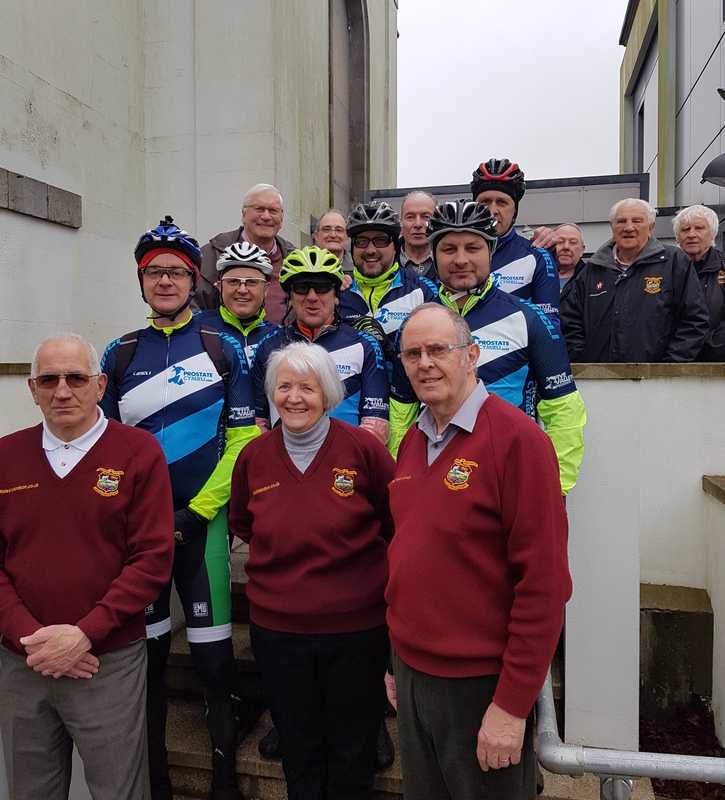 “We run the competition every year and we were delighted to be able to donate £300 in support of the efforts of the Whitland choristers,” explained Mynydd Mawr choir chairman Wyn Edwards. 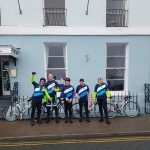 The Whitland choristers are cycling around Wales and visiting every choir that is taking part in the Festival of Massed Choirs at the Royal Albert Hall, London on Saturday, May 19. 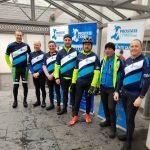 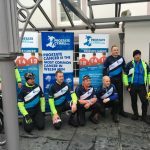 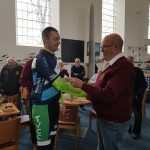 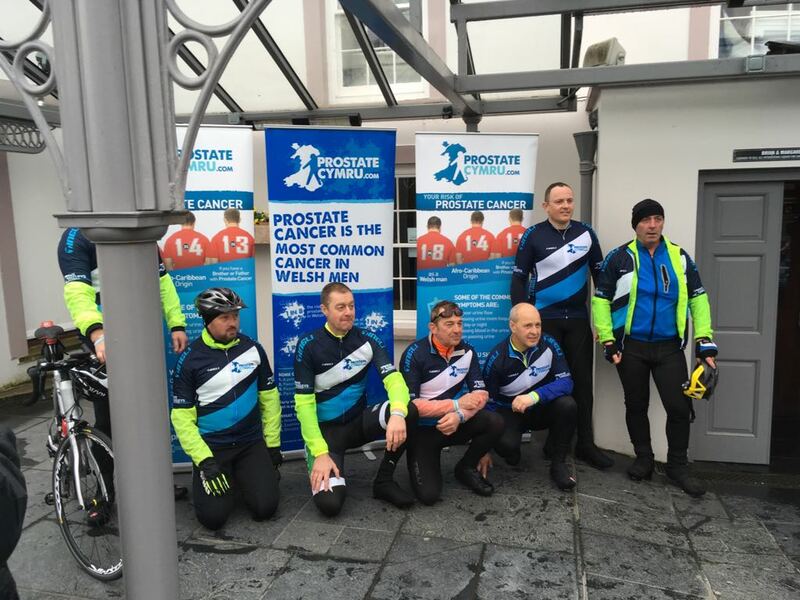 The aim of the cycle ride is to raise £3,000 for Prostate Cymru which is the nominated charity of the Welsh Association of Male Choirs who are the organisers of the event in the Royal Albert Hall. 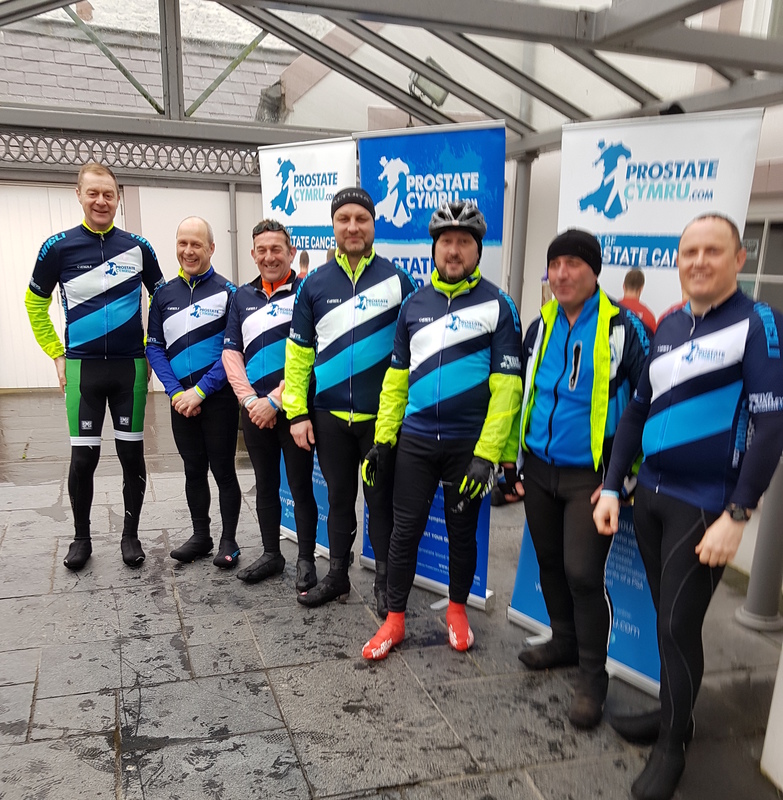 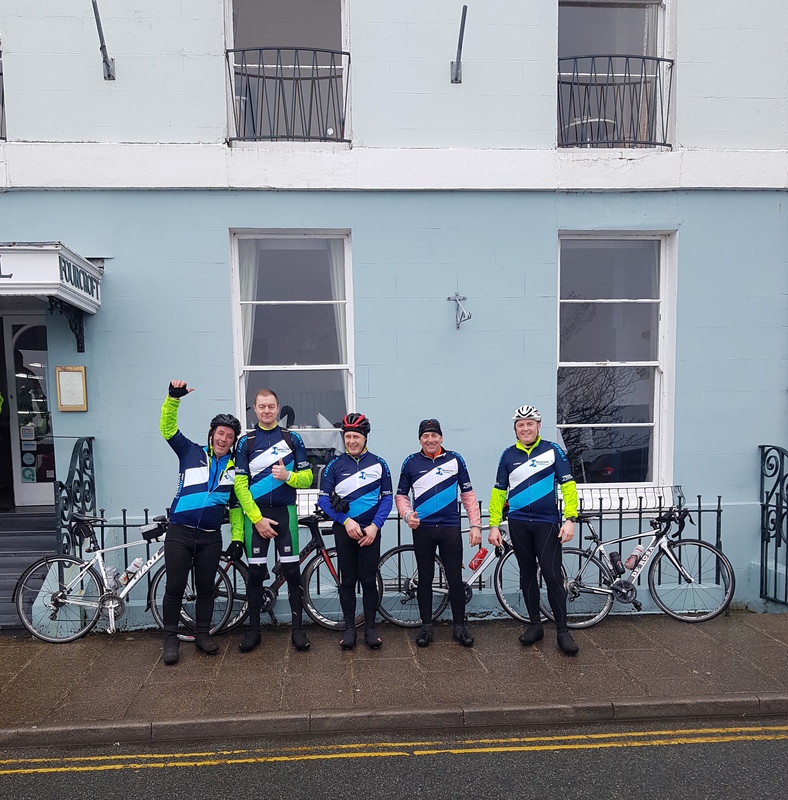 The choristers will end their cycle ride at the steps of the Royal Albert Hall on Friday, May 18 when they expect to have reached their fundraising target and present their donation to Prostate Cymru. 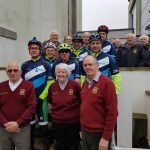 Further information is available from Whitland MVC secretary Hugh Lewis 01994 240437.